This beautiful metallic light purple or amethyst paper has a subtle shimmer & is double sided in colour. This range of papers is laser compatible and as a result it is great for DIY wedding invitations and projects as many standard laser printers will produce beautiful results. 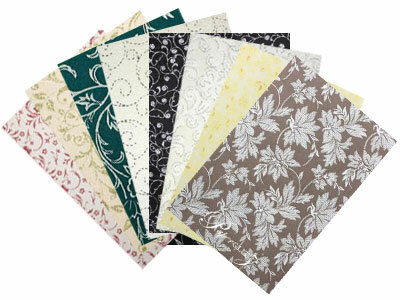 Larger sheets sizes such as A3, SRA3 & master sheets of 700x1000mm are also available by special order. 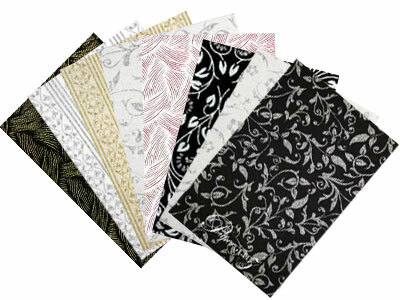 We can also guillotine to size and/or die cut to your specification. Contact us with your requirements for a quotation. 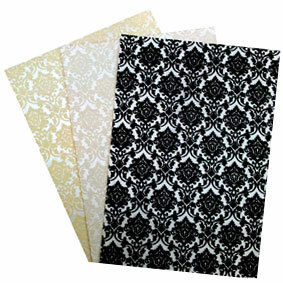 We also carry this colour in 290gsm card stock, envelopes and a wide range of die cut DIY invitation cards. 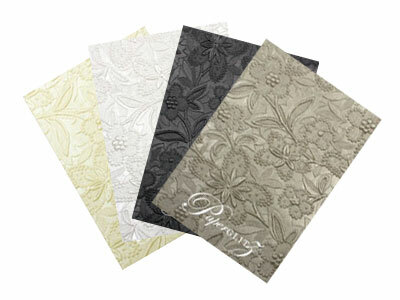 Buy with confidence and specify only "Genuine Paperglitz Classique Metallics™ A5 papers" for your next project. Having a Wedding Stationery business with strict time schedules, I would like to thank you for your fast efficient service always. But particularly this time, yesterday my printer ruined 70 envelopes :-( , immediately ordered more and they're here this morning for me to continue with my order due out this week. Thank You, I appreciate all your hard work.